Adding a Customer to the Sale – How can we help? 1. In the right-hand search box, type the customer's name, phone number, email, company or customer code. 2. A drop-down matching customer's name will appear. You can keep typing more letters until the results are filtered enough to find your customer. 3. If your customer is not found, you can add the customer without leaving the sell screen. Just hit Add [X] as new customer, and Vend will open a window for you so you can add the customer. 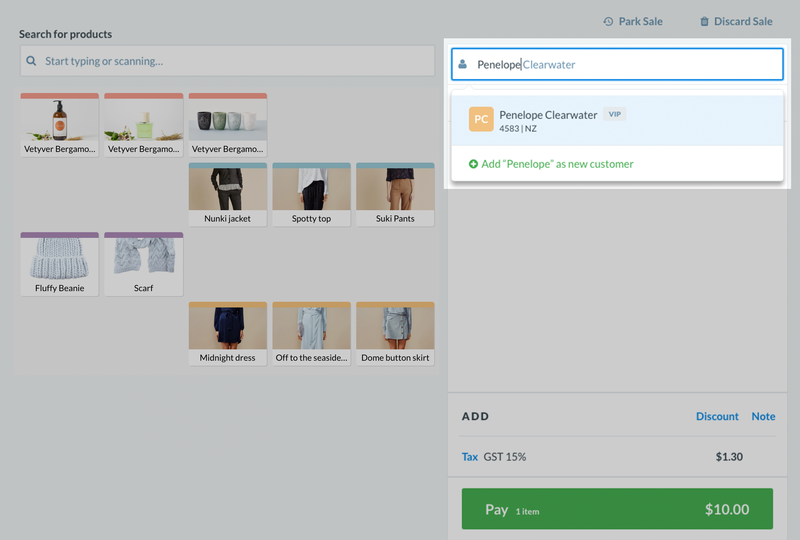 To learn more about creating new customers and managing existing customers on Vend for Mac and PC, click this article here.